I just recently acquired these two pistols at some local gun shows. 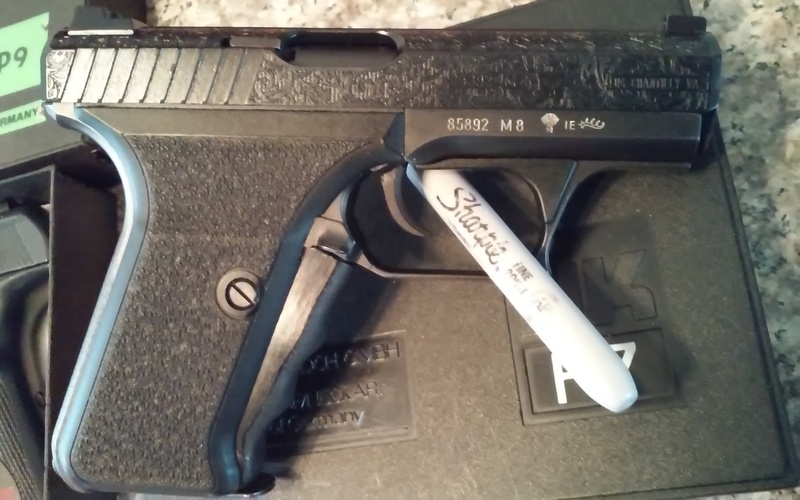 Does anyone know where I can find a factory test target for the HK P9? and some people told me it was done by the factory and some said it's aftermarket. Which one is it? Nice P9. Test targets aren't normally floating around. Especially, for particular pistols. Like mmissile said, very few blank test targets have come up. Test targets are usually serialized to a specific gun. 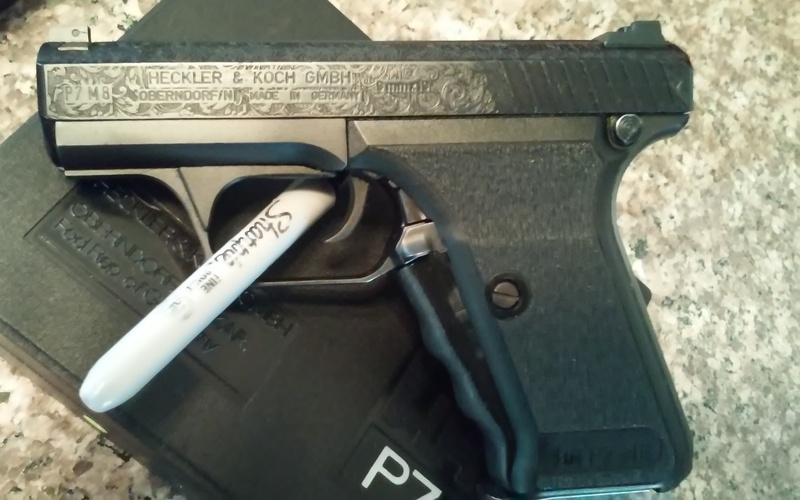 That P7 doesn’t look like any factory engraving I’ve ever seen. 1. Is it the German manual (orange; front- P9 pointed up and left- “Selbstladepistole/Mod. P9 (no S); back- P9 spelled out in bullets)? 2. Is the right frame dated "72"? 3. Is the importer SACO/Arlington, or other? 1. Originally yes but, the guy said he threw it in the garbage years ago. 2. Yes it's dated 72. 3. The importer is SACO. 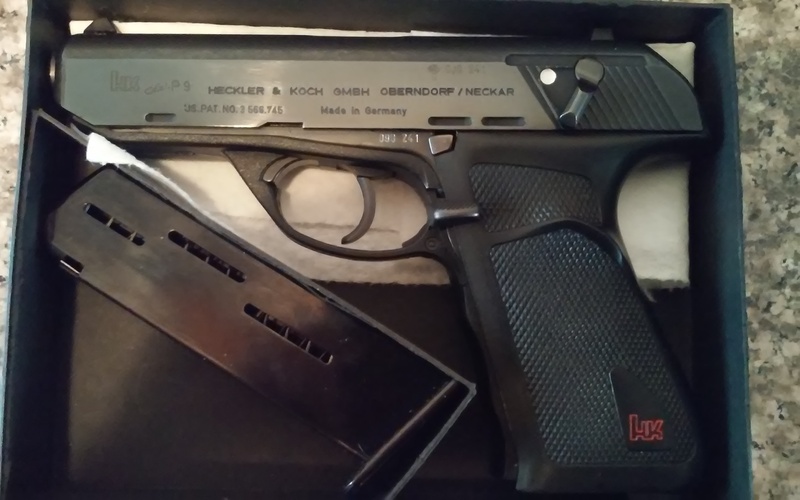 a P7, P9s, P9, or Mod 4 walks in I am trying to look at it and making an offer. Didn't know it was unusual for the P7 M8 not to have the "fat" trigger. Never seen that kind of engraving, looks awesome. The "fat" triggers on P7M8's are generally found on ID-IG (83-86) models--- yours is IE (84)--- I really like the engraving. Good eye Tony, this P7 M8 appears to have the earlier PSP/P7 trigger.